WhatsApp, a mobile messaging and call App, which is owned by Facebook; is kept on introducing new and exciting features for its users. 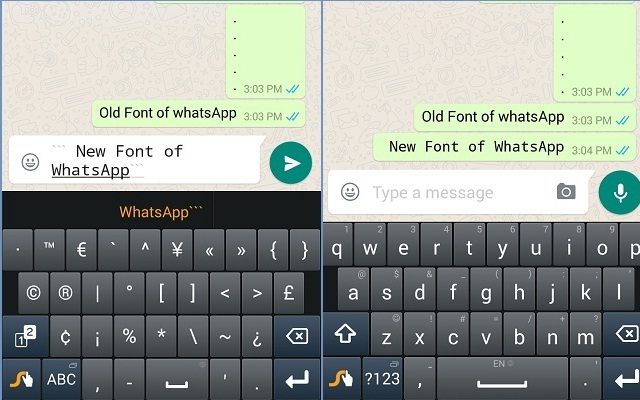 This time WhatsApp Introduces New Font and Voice Mail Feature in latest Update. These features are only for the beta version of WhatsApp. This means that the new features will not be available to everyone right now. Most interesting addition in WhatsApp is New font Style. This new font works by adding these “` grave accents at the beginning and end of a message. This new feature allows users to separate quotes from the rest of the text. The new feature works on three platforms, i.e. iOS, Android and Web. Users will also be able to see a preview of how the font looks before they send the message. Other feature added to the app include the ‘record a voice message’ button that allows you to send a message directly, without having to go to each chat window. This feaure will allow you to send the voice message if voice call does not go through to the recipient. WhatsApp, a mobile messaging and call App, which is owned by Facebook; has more number of Active users as compared to Facebook Messenger. According to a study by Global Web Index, eight out of every 10 users using WhatsApp on daily basis. 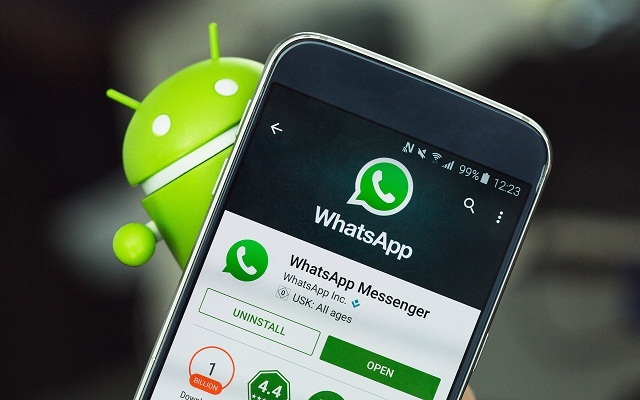 These newly introduced features will also help WhatsApp to increase its users.